During our live, online Articulate Storyline Beginner classes, we teach students how to import and record voiceover audio. The most common question we get about voiceover audio is “Can Storyline convert text to audio files?” The answer has always been "no." However, “no” became “yes” thanks to a recent Storyline 360 update. Before using Text-to-Speech, I suggest a little pre-work. If you’ve created a voiceover script (or have access to it), you will save yourself a lot of extra work in Storyline because you can copy and paste the script text into Storyline’s Notes area (instead of typing). The Notes can easily be converted to Speech. 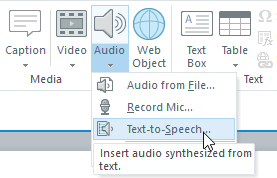 Next, choose Insert > Media > Audio > Text-to-Speech to open the Insert Text-to-Speech dialog box. 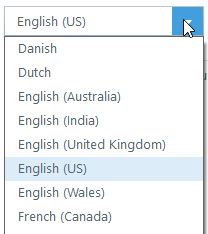 From the upper left of the dialog box, you can select from an awesome number of languages. Choose your narrator and, if you'd like, use the Preview Voice option to get a feel for how your narrator is going to sound. You can type the script text manually if you're into that sort of thing (the typing I mean). But remember the Notes I encouraged you to create earlier? Click the Copy From Slide Notes button and those notes will instantly appear in the panel (there's no extra typing required... I love that). 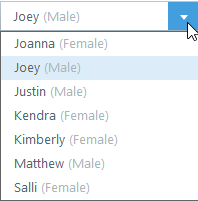 Click the Insert button and you're done, done, done. The resulting audio file appears at the bottom left of the slide. If you'd like to hear the resulting audio (and who wouldn't? 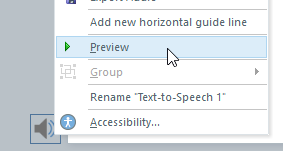 ), right-click the speaker icon and choose Preview. After you've added the Text-to-Speech, you can change to a different language or Narrator by visiting the Audio Tools tab and clicking Text-to-Speech and clicking the Update button. Thanks, Articulate for making the whole Text-to-Speech thing so fast and easy! If you are looking to learn all things eLearning, including Articulate Storyline, check out these live, online and awesomely interactive classes. As a voice talent who does a great deal of work in the elearning space, this is of great interest to me. Is there a way for me to hear some samples of these narrators? And do you have any data yet showing what percentage of creators are using these text to voice narrators as opposed to living breathing narrators? Thanks! I don't think you need to worry about your day job. While both Storyline and Captivate both offer text-to-speech, the quality simply is not good enough to replace living, breathing talent (IMO). The voices that come with Storyline sound artifiical. And while the voices that come with Captivate are more realistic-sounding, I don't think they'll work for high-end eLearning either. Certainly the voices in both programs can be used as placeholder audio, or for internal eLearning, but I'd never consider using the built-in voices for the eLearning we create for our customers.